These General Terms and Conditions (GTC) reprents between Travel Agency IP Villas registered as Lord Ragusa Ltd. and You ( the party leader) applying for a certain accommodation or any other service. 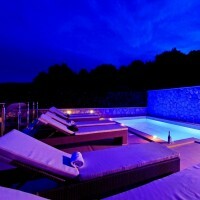 In case of any differentiation of general terms for any other programs, the general requirements of that particular program are to be applied.We provide accommodation according to the information on our website www.dubrovnikholidayvillas.com for the book period,barring any exceptional situations,wich can not be forseen and / or are out of control.The agent IP Villas ensures to safeguard the personal data of the guest in compliance with the European Personal Data Protection Act and to use and keep them solely for the needs of the reservation process and informing the guest and will in no case subject the personal data to sale, transfer or third party examination. IP Villas is required to offer services on the Internet page and to attend to the rights of the guest in accordance with approved commercial usage. This applies for a regular and proper choice of service providers. The guest is obliged to provide valid travel documents, to keep to the villa rules at the accommodation and other regulations pertaining to specific services. Upon arrival, the guest is obliged to hand the voucher (proof of full payment for the service) and travel documents of all the guests in a particular accommodation to the host so they can execute the statutory registration of travelers at the competent local tourist organization. The agent shall send the guest the required travel documents (voucher and guidelines on how to find their accommodation) via e-mail or via post no later than 10 days before departure if the full payment for the service has been made. The guest is obliged to verify whether they might need a visa to access the country of their accommodation. In case of non-compliance with the obligations, the guest carries all costs and is responsible for any damage that may result. Unless specified otherwise on the voucher, the arrival to the holiday villa is possible after 3 pm while the departure is required until 10 am. 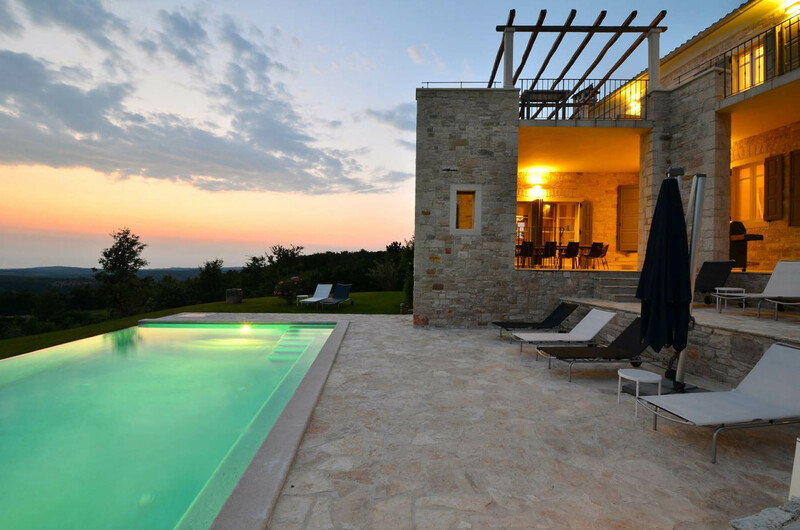 In order to make reservation of choosen villa or accommodation the deposit payment is essential.Inquiries, questions and reservations pertaining to accommodations and other services are done one-mail : info@dubrovnikholidayvillas.com or phone. By making the deposit payment this agreement come into exictance.By deposit payment you confirm to read and agreed with this General Terms and Conditions.As a party leader you accept these GTC in your name and in the name of the all travelers in your party. After receiving a positive answer and invoice from the agent via e-mail, the reservation is completed with the guest’s confirmation via e-mail or phone and a 30 % advance non - refundable payment specified on the invoice within 2-3 working days. 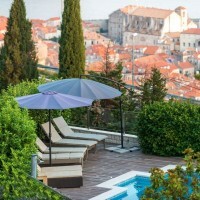 With the Booking procees you can choose to pay with the following payment metods: Payment by Bank transfer or payment by credit card ( Pay Pal).Please note that Booking will not confirmed until Travel agency IP Villas has recived pre-payment amount and you have recived confirmation e-mail and voucher from agent. In case the advance payment specified on the invoice is not executed in due time, the service is regarded as not have been ordered. If the guest does not execute the second part of the amount 30 days before departure, the reservation is considered as cancelled and the process is proceeded according to item nr.6After the reservation confirmation, the guest is required to provide all the necessary data (usually name, surname and date of birth of all the travelers with the phone number and e-mail address of the reservation holder). The price includes the basic service (holiday villa rental, boat rental,trip organization, etc.) as it is described on the internet page. Hygienic basics (toilet paper, soap...) are available at the accommodation unit for the first couple of days; afterwards the guest should provide their own. Additional payment is to be made for extra services which can be ordered upon reservation or later if they are still available. Accommodation rates are published in Euro currency. The agent IP Villas has the right to alter the published rates (in case of rate change from the service provider or in case of currency alteration), however, the agent must ensure the accommodation or service rate specified on the pro forma invoice when the advanced payment was made. If the rate is altered before the advanced payment is made,IP Villas is required to let the guest know about the altered rate. Some accommodation units require additional payment for final cleaning in the amount of 100 € which is also specified in the e-mail with the offer and the rate calculation. 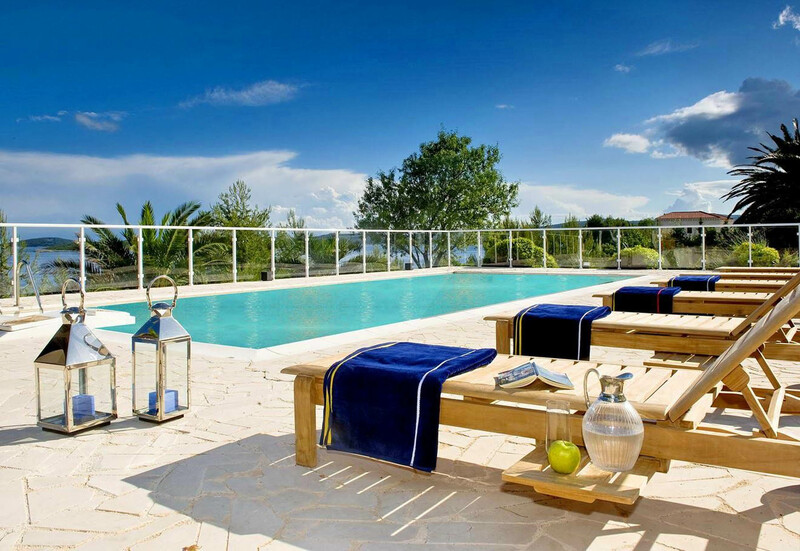 The agent IP Villas reserves the right to alter a reservation in case of unforeseeable exceptional circumstances which could not be avoided or stopped . The booked accommodation may only be altered with preliminary notification of the guest by organizing accommodation in a unit of the same or higher standard for the rate the guest received with the primary reservation. In case the alternative accommodation is possible only at a higher-standard accommodation and the rate of the paid reservation is 15 % higher (or more), the agent reserves the right for payment of the price difference with consultation with the guest. In case alternative accommodation is impossible, the agent reserves the right to cancel the reservation and immediately notify the guest of the situation with a full refund of the paid sum. The same conditions apply in case such a situation occurs upon arrival of the guest and does not agree with the offered compensation and alternative accommodation respectively. The agent will commensurate with good business customs to provide the guest with information on additional services which are not in the standard IP Villas offer in order to ease the altered situation. When making a reservation of an accommodation, the agent can provide the guest with travel cancellation insurance if so desired. This reservation is carried out in cooperation with the Allianz insurance company. www.allianz.com .The insurance enables cancelling the reservation and getting a full refund (even if made on the day of the departure) if the cancellation is made due to medical reasons specified by the Allianz insurance company reasons and supported with medical documentation. Families with young children usually decide for travel cancelation insurance. The insurance premium is 6% of the accommodation rental amount and needs to be settled together with the advance payment (travel cancelation insurance is not possible at a later time). In case of travel cancelation where the guest would claim the travel cancellation insurance, the cancelation terms specified by Alliance insurance company are valid. The agent IP Villas is not responsible for damaged, destroyed or lost luggage as well as stolen luggage or other goods located at the accommodation unit or any other service provider. We recommend safe rental, if this option exists. Lost luggage or theft can be reported to the owner of the accommodation unit or any other service provider as well as at the police station. Tourist tax is governed by the Croatian tourist tax law amounting is 7 Kuna (or 1 €) for an adult per day. Teenagers between 12 and 18 years of age have a 50 % discount while children under 12 years of age do not need to pay tourist tax. 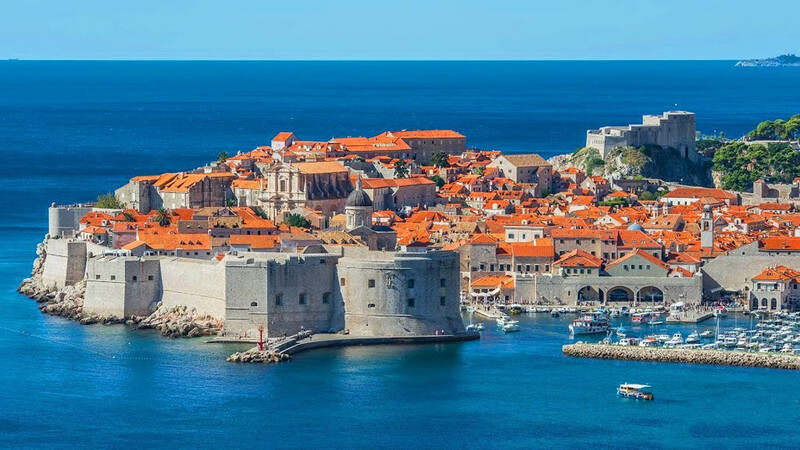 The final value id the tourist tax for the reservation depends on the location and season in Croatia and the guest settles it together with the advance payment received from the agent for accommodation unit rental. The guest has no other expenses upon arrival regarding the tourist tax. In case of villa rental, a security deposit in the amount of 300 € – 1000 € is lodged in cash (the amount of the payment varies between villas) and returned to the guest at departure if no damage has been made to the villa its interior and surroundings and if it has been left in a normal and clean state (clean kitchen, garbage disposal) enabling an immediate begin of sanitization and disinfection for the coming guests. If the guest damages any part of the villa, leaves the villa in an unclean state or has not left the villa on time (as specified in the voucher), the host has the right to deduct the expenses incurred from the security deposit. If the expenses caused by damage exceed the deposit, the guest is obliged to settle the complete damage. The party leader is responsible for the parties taking with the correct travel documentation ( passports,driving licences,green card,vehicle registration etc).The guest uses accommodation and other services at their own responsibility. The agent carries no responsibility if the guest or their anything belonging to them is damaged or if the guest causes any damage at the accommodation unit. The agent also carries no responsibility for inconvenience caused by power failure, gas supply cut-off, inactive sewage system, water supply and similar consequences of force majeure. Neither the agent nor the owner can be held responsible for noise or disturbance originating beyond the boundaries of the property or which is beyond their control. In the event that a source of noise has been in existence prior to guest's arrival and agent is informed of this, the agent will contact the guest to inform him of the disturbance. Agent cannot accept responsibility for events out of our control e.g. bad weather including events arising as a result of very hot or unusual weather, delays caused by carrier companies, breakdown of domestic equipment. In units with a pool, the pool is used at the guest’s own responsibility and the guest claims full responsibility for their under aged children. The pool at the accommodation units are not enclosed, do not have a lifeguard and tend to be deeper at some parts. The agent also claims no responsibility by the guest’s usage of the unit’s potential beach. The guest is notified that the beaches do not have lifeguards and is therefore fully responsible for their under aged children close to the sea or in it. With a confirmed and executed reservation the guest expresses consent to cover full costs of any damage done directly to the owner on the premises. Any complaints from the neighbors or the local authorities regarding excessive noise or disturbance during the night hours are a foundation for the owner’s demand for the guest to leave the premises without any refund. In case the services lacked in quality and were not carried out as described on the Internet page, the guest must inform the owner of this immediately and by this give them a chance to eliminate any irregularities. In case the guest cannot find the owner or is not satisfied with the proposed solution, the guest must immediately notify the agent or they cannot claim any kind of refund. The guest must immediately describe the unsuitable service to the agent via e-mail at info@dubrovnikholidayvillas.com or call the following number: 00 385 989688114 written on the voucher. The guest is obliged to cooperate with the agent to fasten the removal of the unsuitable service as quickly as possible. If the guest does not accept the proposed solution equaling the paid service, the agent is not obliged to consider any further complaints by the guest. If the problem is not solved despite the efforts of the agent, the service provider and the guest, the guest must send in a written complaint to the IP Villas via e-mail no later than 30 day after returning from the holiday together with a written confirmation from the owner that the complaint was unsuccessfully handled and with additional photo material to substantiate the claim. The agent will immediately consider the fully documented complaint where the cause of the complaint was not solved during the vacation and had arrived within 30 days of the day of departure and send a reply within 14 days as stated by the Croatian statutory term. The highest compensation on the grounds of the contract is limited to the amount of the service provided and can as such only be the amount for the part of the service complained about and cannot include the service already used or the complete amount. This also excludes the right of the guest to receive a full refund. IP Villas acts as agent for property owners for private rental of a property.Use of the villa for commercial purposes is expressly forbidden unless agreed upon prior booking in wich case additional terms and conditions and/ or insurance may apply.If you are intending to organize a private function ( e.g party,wedding,cocktail party) at the property you must seek prior permission. Paying the deposit or payment in full signature that the Traveler fully accepts the Terms and conditions.IP Villas is committed to protect all personal data of their customers.All user information are strictly confidential and available only where such information are necessary for job performance.All property managers and Villa owners are responsible for compliance with privacy principles.